The purpose of Cooley’s appearance was to talk about the team’s name and let Chris give his opinions…Chris, like always didn’t hesitate at the chance to give the facts. In this case, the facts are clouded by agendas of major media outlets that appear centered at trying to paint a picture of racism and dishonor. 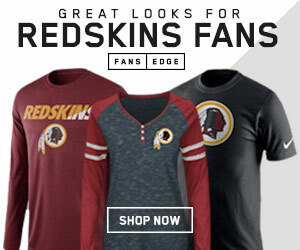 As Cooley points out in his interview, that image is a product of misinformation at it’s finest, and the Redskins organization is aimed at helping Native Americans, not somehow hurt them. Cooley also makes it a point to say that everyone has their right to be offended. But those who are not should not be judged in the process. We here at HTTR4LIFE have made it a point to stick to the facts and when opinions are needed we seek out the opinions that matter. While we don’t agree with the ideas of those who would want to change the name of the Washington Redskins, we understand that not everybody is always going to think like us. It’s important to remember, as Cooley also points out, that nothing in this world will ever be met with 100% approval rating. If just a few who are offended end up being the voice of all then anarchy should take over like a lot of people are not happy and are currently offended by the United States government. When it comes to how the major media has handled this situation, it’s obvious that “the powers that be” are attempting to control every move like a puppet master. 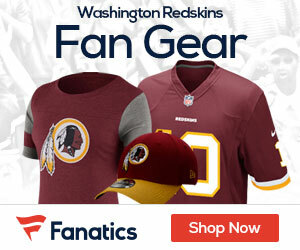 Through all of that and beyond the Washington Redskins organization will continue to help Native American communities all over the country, while these major media outlets and government officials will focus their energy elsewhere feeling like they have helped Natives by attempting to change the name of a team that most of them are not offended by.